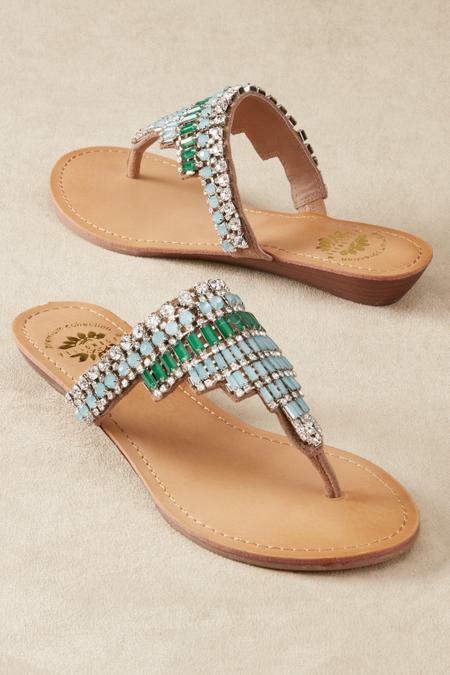 Elevate your summer wardrobe with these sophisticated sandals styled with multi-toned beads and faux diamonds in a tiara motif. Rich leather and suede finish the easy/elegant details. 1" heel.